If you love the experience of wind blowing through your hair, you will like Moore Plains. If you like to experience the wild, majestic and untamed side of nature then a ride in the Moore Plains will appeal to you. 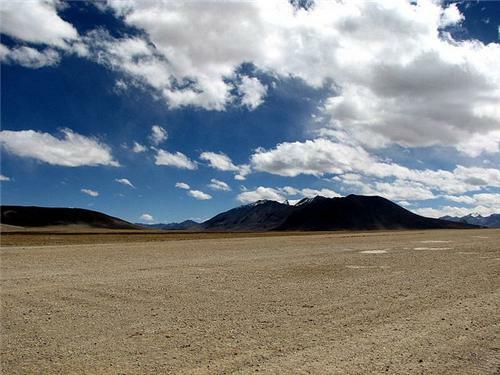 If you want to experience the cold brilliant light of India’s only cold desert with its millions of stars and not one single person around then you should keep the Moore Plains in your travel list. The Manali-Leh highway neatly intersects the Moore plains neatly from its middle. 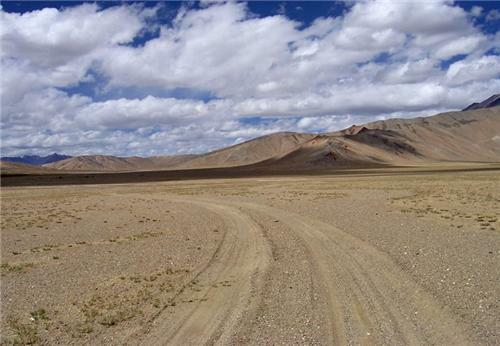 The Moore is a large virtually unending stretch of land that is free of habitation and population in Leh. This stretch of land falls between the capital town of Leh and Sarchu. The natural height of this road is 4000 meters above sea level and it is biting cold in all the points. Majestic mountain ranges flank both sides of the Moore plains and the view is commanding. Some part of the Plains run parallel to the river; Sumkhel Lungpa. The rapid movement of the river and the exceptional natural stone and terrain has given rise to beautiful stone formations and rock structures. The structure of the Moore which is actually a Plain is a natural wonder in itself. The altitude of 4000m is not conducive to the formation of planes; mountains and rocky terrain is expected. But the Moore Plain is completely flat and there is 100% lack of vegetation; a fact that has intrigued geologists and naturalists from all corners of the world. 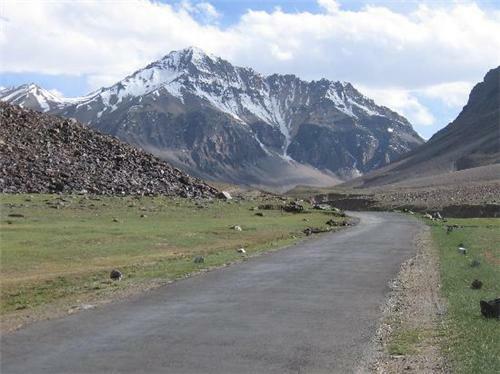 The best thing you could do when you visit Leh is to hire a bike and go for a ride in the Moore Plains. The beauty is amazing as the raw natural appeal of the place is unmatched. The Moore Plain is the best spot in India for adventure bikers. If you are not so adventurous in nature then you could take your family and simply go for an extended ride in the Moore Plains while admiring the mountain ranges and the swiftly flowing rivers. The weather is savage and not very tourist friendly. The winds blow at impossibly high rates. The best thing you could do is to grab heavy jackets and a few woolen scarves if you decide to visit the Moore Plains. It’s advisable that you stock up on packets of food too as crossing the Moore Plains will take time and there is hardly a soul to find along in the huge impenetrable stretch of land. There are adventure camps which involve biking across the savage Moore Plains in Leh. These camps are all held between the months of June to September. You can hire a car from Leh and experience the grandeur of Moore Plains one night as you ride out from Leh and travel along the Leh-Manali highway. After roughly two hours of travel you will enter the Moore Plains. Time your visit so that you can get to experience either the sunrise or the sunset at Moore Plains. Your mobile phone won’t work in this area so be prepared to take a break from civilization amidst the beautiful wilderness of Moore Plains.